Official description for the Marvel's Agents of S.H.I.E.L.D. 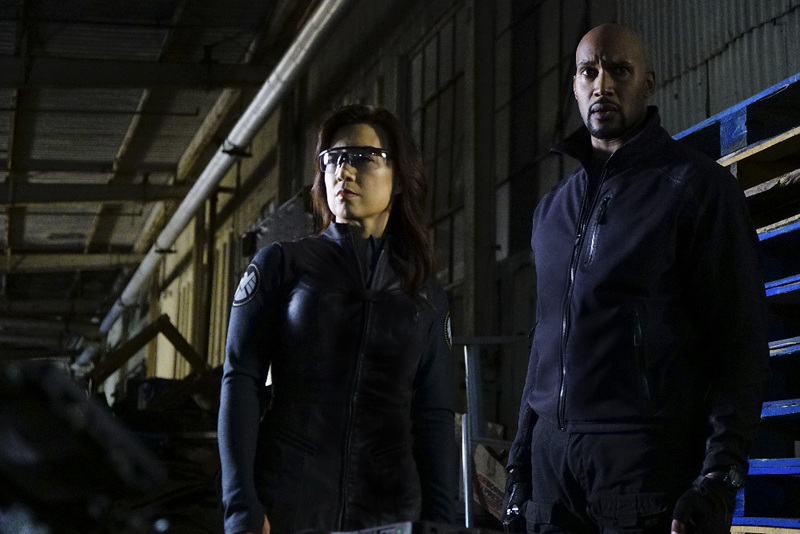 season premiere, titled "The Ghost"
ABC has released an official description with spoilers for the Season 4 premiere of Marvel’s Agents of S.H.I.E.L.D.. The episode is called “The Ghost” and the Ghost Rider comes to town! UPDATE: ABC has now released some photos as well! Check them out below, including a few shots of Gabriel Luna as Robbie Reyes/Ghost Rider. UPDATE #2: We have more photos now that the episode has aired! Most of the photos feature Daisy (Chloe Bennet) and Robbie Reyes. If you have watched the Agents of S.H.I.E.L.D. season premiere and want to talk about it with other fans, come by our forum! Guest starring are Natalia Cordova-Buckley as Elena “Yo-Yo” Rodriguez, Gabriel Luna as Robbie Reyes, Mallory Jansen as Aida, Lorenzo James Henrie as Gabe, Briana Venskus as Agent Piper, Max Osinski as Agent Red, Ricardo Walker as Agent Prince, Edward Gelhaus as skinhead, Ian Hutton as Blondie, Blaise Miller as lab tech, Samuel Barajas as Felix, Bryan Rasmussen as warehouse manager, Wilson Ramirez as Diego, Jen Kuo Sung as Chen, Posted on KSiteTV, Jerry Ying as thug #1 and Lilli Birdsell as Lucy.